Turn your outdoor space into a lavish retreat or cozy hangout! 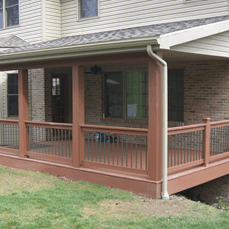 The right roof over your porch or patio can turn an underestimated part of your property into an ideal spot for entertaining, relaxing, and enjoying the outdoors. 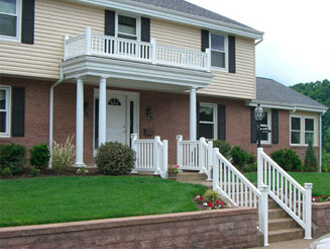 At Quaker State Construction, we draw on our 59+ plus years of experience to provide you with the roof that fits your goals regarding both form and function. For example, you need a roof that is both structurally sound and properly designed to prevent water from seeping under the roofing. As for design, maybe you envision a classic beadboard look with ceiling fans, or perhaps you’d prefer a rustic, open rafter design to add visual interest. In any case, we can advise you on the right height, design, and type of ceiling that meets your design and functional goals. Which Porch Roof Is Right For Your Home? 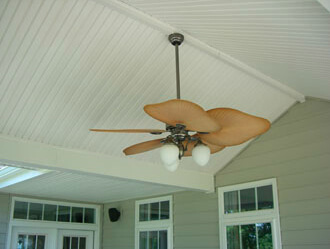 Get a Quote for Your Porch Roof Today! 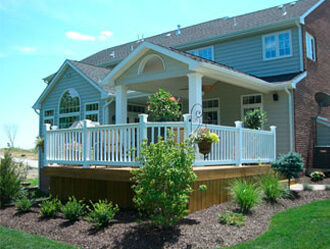 Contact Quaker State Construction today to get started on your porch roof project!